My second Caker Crush is Carter Were. We have lots in common. Besides being a self-taught baker (of the bread variety), she's a business owner, a lover of creating and sharing food, and she's attached at the hip to her (twin) sister Harry. Carter is someone I've always admired, even before we took a similar career path. She carries an air of cool, never seems stressed, and has the balls I wish I had, to shave her head. I went and hung out with Carter while she glazed and decorated her Lemon Plum Cake, made from a Caker Cake Mix, of course. Her warm little kitchen in her Grey Lynn home was the loveliest place to have a chat about bread, travel, and the future. Can you tell everyone a little bit about yourself and your involvement with food? I have had a small shop in Auckland for the last two years making bread and open sandwiches, pickles, ferments and cookies. I shared the space with my friend Sophie, who is a florist (Muck Floral) but we have both outgrown the space so she is moving studios and I am going overseas to learn more about food. Tell me about what you love most about bread. What do you love most about the process of baking it? I like that it is both a science and art that I still haven’t figured out. My favourite thing is a fresh loaf of bread with some good butter or olive oil. I am literally addicted to your bread and had made a ritual of coming into Were Bros every Saturday before work with my sister for breakfast. I'm so sad that it has reached the end of its journey as we know it, but I'm certain there are so many more amazing things in the pipeline for you. Tell me about what you plan to do next! Thanks J, and thank you for coming every Saturday to the little shop. For now, I am going overseas. I have an internship in Tuscany, Italy working in a hotel for 3 months over summer. I am going to do four days in the kitchen and one day in the garden because I enjoy growing food too. I am looking forward to European summer, learning lots, more freedom and a little less responsibility in my life than now. After that, I’m not too sure but I might move back to Australia and do something there. 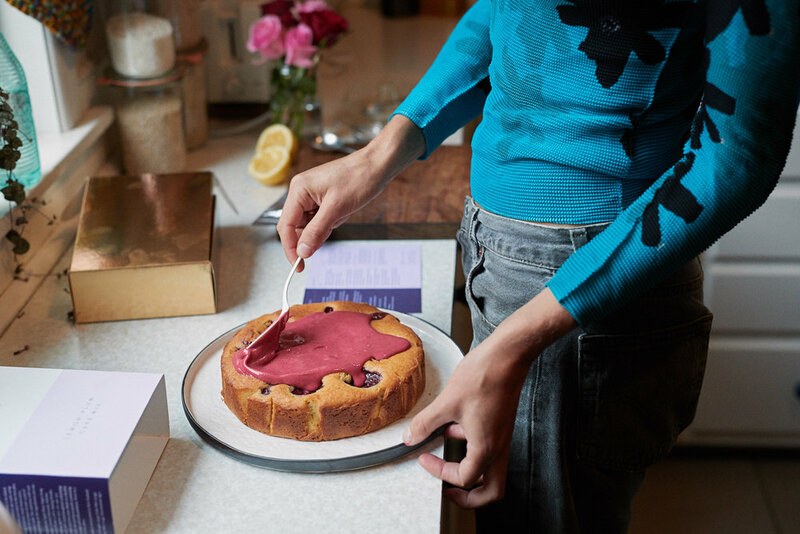 What do you plan to do with your lemon plum cake that you've iced and decorated so beautifully? I ate it as soon as you left with a cup of tea. Then my brother came over for dinner and I had more for dessert. It was sooo yum and perfect with some greek yoghurt.